Photo courtesy of Whitten Sabbatini for the "New York Times"
Nick Cave, Stephanie and Bill Sick Professor of Fashion, Body and Garment has opened up a new multidisciplinary art space in South Old Irving Park. The space has been conceived as an incubator for collaborations with young artists of all media. Facility, Cave’s new live/work space with his personal and professional partner Bob Faust, both introduced and announced itself to the community through its first collaborative artwork, Love Thy Neighbor. Composed of thousands of circular name tags decorated by local business, Chicago Public Schools students, and assorted community members, these “amazing little artworks,” Faust said to the New York Times, have been hung to spell out “Love Thy Neighbor,” in Facility's storefront window. Both a motto for and invitation to the neighborhood. 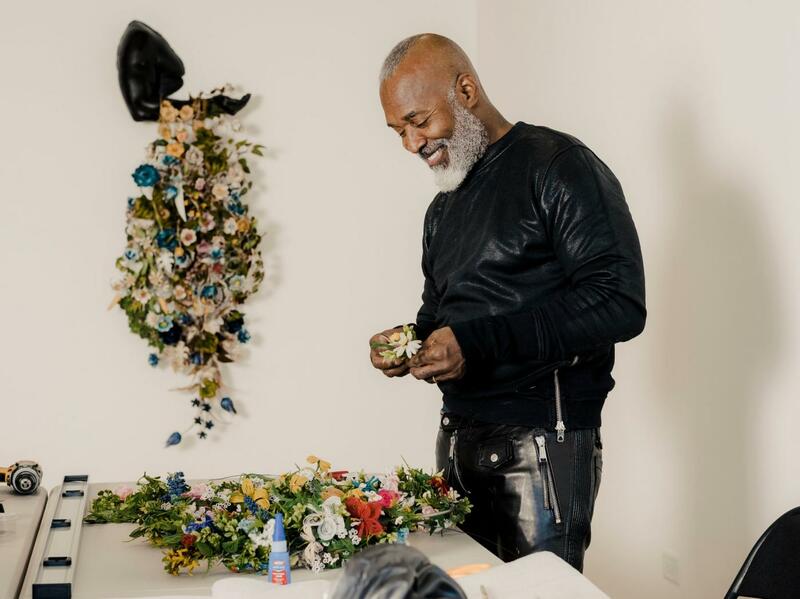 To see a sneak preview of some of the work coming out of Facility and read more about Nick Cave’s artistic initiative, see the New York Times online article. Students from the Department of Fashion Design at the School of the Art Institute of Chicago (SAIC) will make a fresh, bold statement when their designs hit the runway at the School’s annual fashion show and exhibition on May 3.